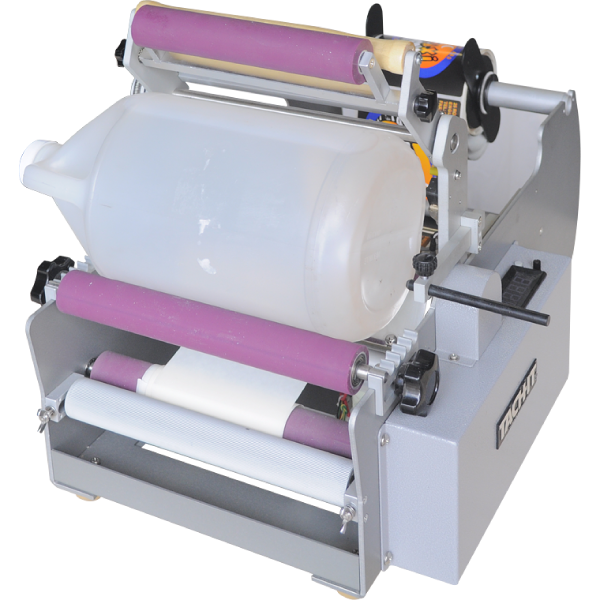 Semi-Automatic Label Applicator for Bottles and Cylindrical Products. Simply put the container to be labeled into the machine and push down on the overhead pressure roller. Label is applied smoothly and consistently. Large range of products including most gallon drums. 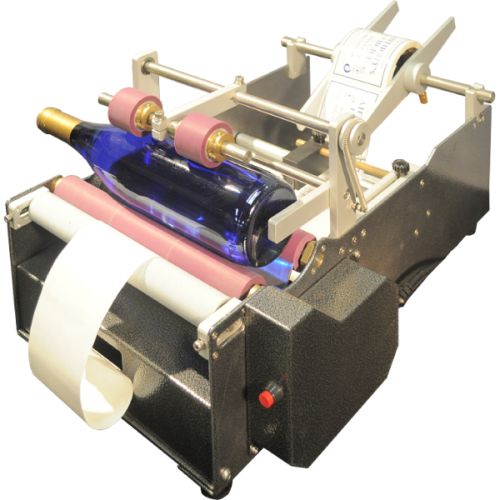 Perfect for micro-breweries, wineries, jams and jellies and for users who cannot justify the cost of a fully automated in-line label applicator. Easy to load and use without special training or tools. Heavy duty construction and adjustable product fixture and cradle for various diameter products. 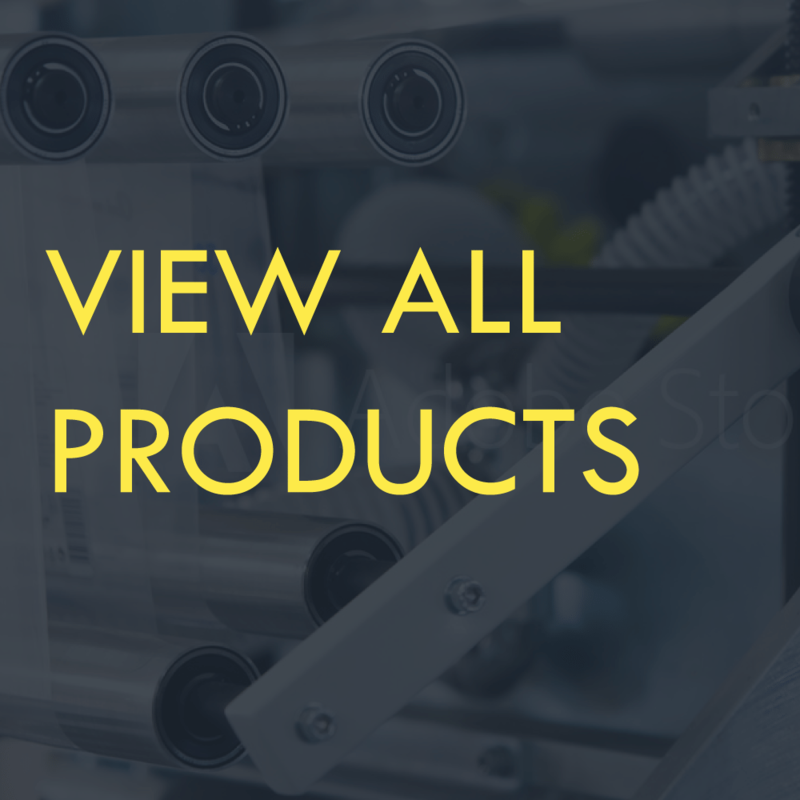 Flexible enough to label products as small as lip balm all the way up to a gallon container. 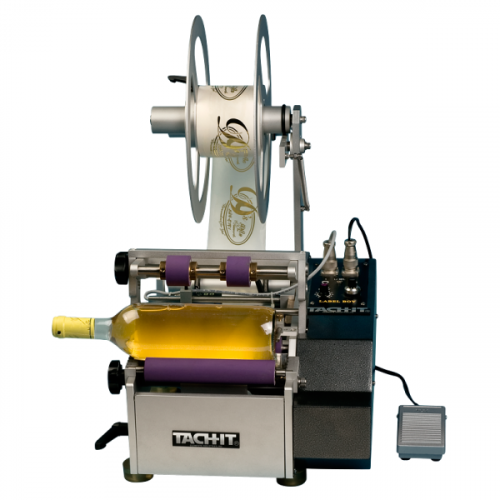 The Tach-It Model LB-7 Semi-Automatic bottle and cylindrical product labeler will put a label onto virtually any round product. Simply place the bottle into the adjustable cradle and pull down the handle on the overhead pressure rollers to start the cycle. Able to detect both transparent and opaque labels, the LB-7 is easy to use, has a small table top design, can label products from 3/4 inch to 6 inch in diameter, including most gallon jugs, and requires no operator training or special tools for usage.